Forum members who have not done so might want to take a look at D1G's (almost) No Code of Conduct. We are quite tolerant and patient here but there is a time for the hammer to drop . So please come in peace and leave your personal baggage and grudges at the door. Those who don't will be enjoying a little break from forum participation. i have no problem with the almost no code of conduct itself, though in practice it does seem like getting banned here happens pretty often and in practice is more like joining irc than a forum. i dont have a goal here to get banned specifically, though if i had a goal to avoid it im not sure how much guesswork would be involved. unfair bans discourage legitimate participation, i dont think anybody disputes that fact? it seems like if one conducts themselves here with similar expectations as one might bring to the dng list or the irc channel, its easy to trip a ban here. so a well-intended person might come with the wrong expectations based on their understanding of the broader devuan community. "why are you even here" seems to be an increasingly common question on this forum, posed indirectly to users without coming out and asking them. so i will say that im here to ask a number of questions about devuan (the distro) and at least one or two about its official forum. we are a rainbow of users after all, but some posts towards banned users make me wonder if we are required to be sunshiny. if the official devuan forum is the sunshiny devuan forum, well-- thats shiny! but maybe its more fair to have a warning to that effect, in addition to the ncoc. or maybe this thread is the warning? No one here has ever been banned. Less than 5 have earned short suspensions (two weeks or less). This misguided/misinformed aggression is not a good way to re-enter this forum. is it possible for you to answer a question without projecting aggression or ill intent onto people? if bans come quickly, accusations are pre-emptive. all i did was ask a question. your top post ended in a direct threat "Those who don't will be enjoying a little break from forum participation." and people have been complaining about this on the forum and off the forum. so now ive been accused of aggression and spreading misinformation-- should i just ban myself (perhaps i can request fsr do the honours) or is it even possible to ask questions around here? do you think you are quick to accuse people of ill intent? i ask only because ive been accused directly. is it not a valid question? NO ONE ON THIS FORUM HAS EVER BEEN BANNED! Stop lying and spreading alternate facts. Feel free to move on and foul someone else's nest . . .
with whom should i address false accusations on the forum? i am most certainly not lying. i note that ive been accused of misinformation, aggression and now outright lying. the problem is that there is no way to address this-- i can tell you im not lying, you dont care, youll just accuse me further. there is no process for resolving this. the "facts" are self-referential, evidence does not count. you realise i have no real options here, just take whatever you say or leave it-- even if its about me? how does one go about proving their "alternate facts" are not lies here? is such a thing possible? i would like to clear my name. its very early for hobsons choice. i ask a question, i get accused of ill intent, i point this out, i get called a liar. but im free to go? before i leave defeated, can i ask how you know that im lying? alright then, i withdraw my question. There's one in every circus. Thanks golinux, you and the rest of the team are doing a pretty good job both running this forum and pushing out a solid product. There's nothing wrong with occasionally marking the boundaries - just so people know that they are there. NO ONE ON THIS FORUM HAS EVER BEEN permanently BANNED! but for a week when Golinux was arguing with her friend about me being banned I couldn't participate and it took that friend of Golinux 2-3 days to realize why I wasn't participating in the topic I had started, while it was being chopped and moved in various corners of the forum. But she is right, nobody has been banned (it is a legal statement authorized by the dyne.org legal department). Stop spreading legally inaccurate lies figos! Is an unbanned person really free to express his/her views? After what systemd did with the word free ... hey might as well use it for toilet paper these days. Yawn . . . zzzzzzz . . .
What you have to understand is that dev1galaxy.org is actually build through a network of potatoes and copper wires. Extrenuous elements, like CSS and images, are offloaded through a private Windows 2003 server in China; but the transmission of text, what you're using to write your responses, it's all ripe Idaho potatoes. Overall, this makes for a more secure network, because you can set up your own chain of potato nodes from your location to a nearby one -- the closest one to my area is only a hundred miles away or so. And because it's relatively obscure, government firewalls aren't blocking the potato transmission protocol, so PTP messages can still get through. The downside (or upside, in your case) is that the ONLY thing users and moderators can do is send and read text, like we're doing now. Some of the more advanced forum features, such as banning, are impossible. The Debian forums might ban members for consistent offtopic tirades, but due to the potatoes' limitations, it is literally impossible to perform a ban here. By now, you're probably thinking, "this is complete science fiction." You're wrong. Idaho potatoes have existed since at least the 1950s, following other scientific developments such as the Gutenberg printing press and the refrigerator. Still don't believe me? Check it out: photographic evidence of an actual Idaho potato. Where's that inflexible skepticism now? In sum, it is absurd that members are accusing the forums of not being build through a matrix of underground potatoes. If that is the beliefs of certain members, it may do them well to spend some time on a potato farm, or consider creating a farm of one's own. But to say that infrastructures cannot, and ARE not, built on this tried-and-true networking framework is ignorance at its best. Do some research before commenting. siva, i applaud your documentation efforts. very little goes as far to help every user towards freedom as giving them the tools (or the produce) and information needed to do things their own way-- this spuds for you! are you sure im the one who needs the tutorial here? either way! keep up the good work, documenting devuan always helps. Did you even look at the photo? 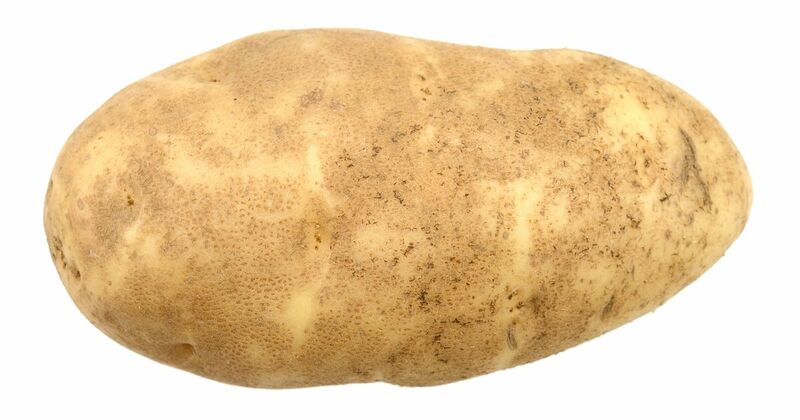 its a very nice potato, i like it even more that its graphical. command line potatoes are very bland and i never eat them without butter and salt. I usually use chunks of rock salt pasted together with hardened lard and envision bacon. Cheaper than the store-bought bacon bits and just as good imho. to be fair, i when it comes to someone convincing me of the definition of bacon, i am the very first person whose opinion i consider.